A home is probably the largest purchase you will ever make, so it's important to understand the condition of your investment. Residential Home Inspection (RHI) will provide a non-invasive examination of the homes' accessible structure, systems, and components. While a home inspection is not a prediction of future conditions and cannot reveal every concern that exists (or ever could exist) it will significantly reduce your anxiety by arming you with knowledge you need to make an informed home-buying decision. 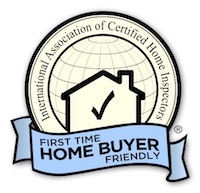 We offer a free, no obligation, face to face consultation with First-Time Home Buyers to help kick start the home inspection process. First Time Buyer?We Get It.